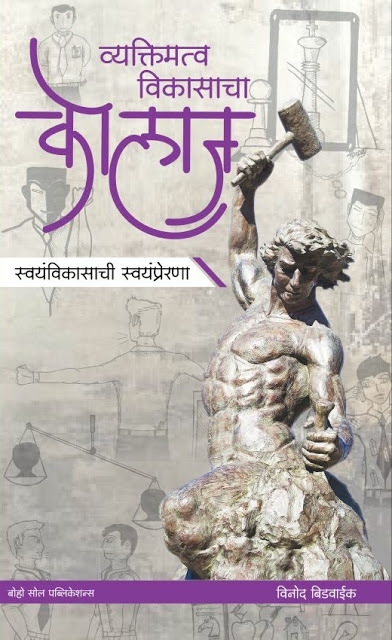 काॅलेज टू कॉर्पोरेट व्हाया इंटरव्युव्ह- फ्लिपकार्ट आणि बुकगंगा वर उपलब्ध झाले आहे. 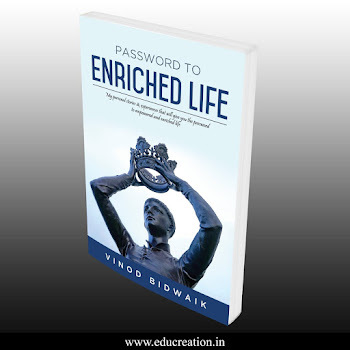 "Students can really learn many things which you mentioned in a book. Looking forward to some more such books." Yogesh Khatale, Associate Training Manager, Apollo Tyres. 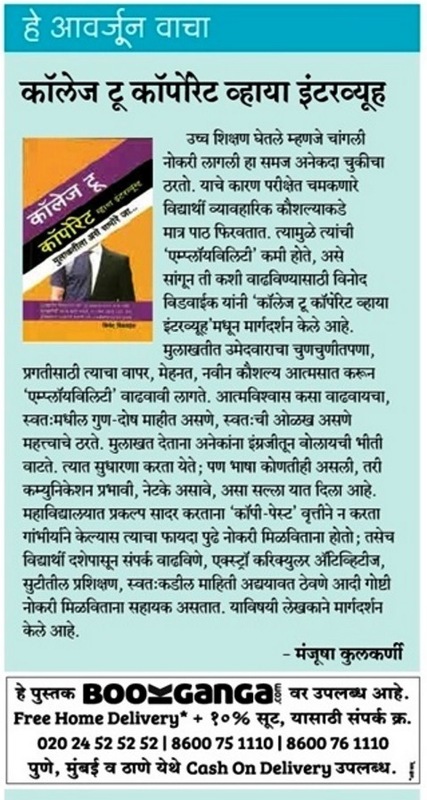 "After reading College to Corporate via interviews, I though, it should be read by Managers also. This is the guide for then on how to interview professionally" Mrs. Manju Godbole. "Very good book. Natural flow of language, very easily explained. 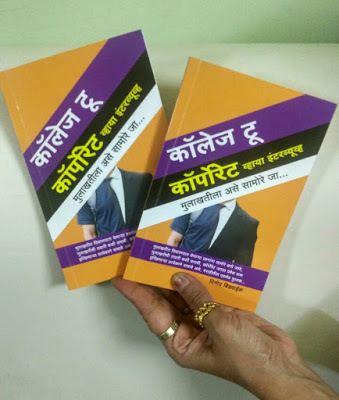 वाचत राहावे असे पुस्तक" P D Patil (Nana) Senior HR Professional and Ex GM of Finolex. "I am impressed by its look, colour scheme, layout and compactness. I read articles which are extremely useful. You style is very young and reader friendly. 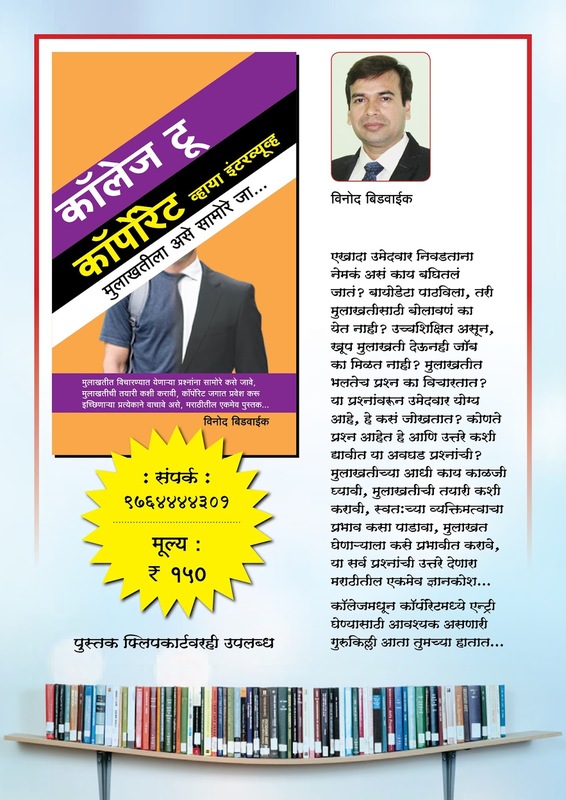 Congratulations.." Sanjeev Latkar, Media person, former editor of Sakaal and Running his consultancy on Media Relations and Personality Development. 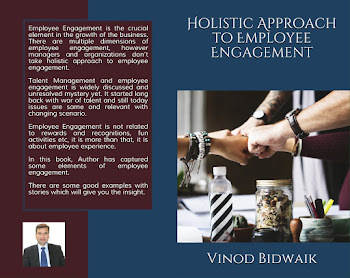 The "College to Corporate Via Interviews" from Vinod Bidwaik. It gives a Strong way for interviews after College for Freshers and experienced too, to become the part of corporate world with excelled prerequisites apart from education..." Ganesh Bhende.